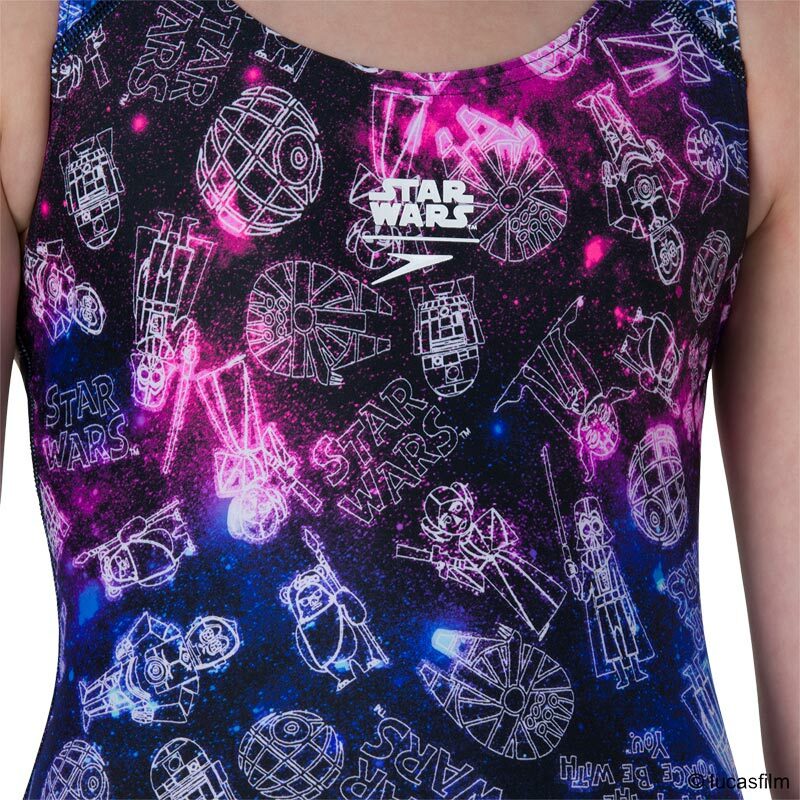 Blast some fun into training sessions with the Speedo ® Star Wars Character Constellation Allover Splashback Swimsuit featuring Star Wars' Yoda, Princess Leia, R2D2 and even Darth Vader! 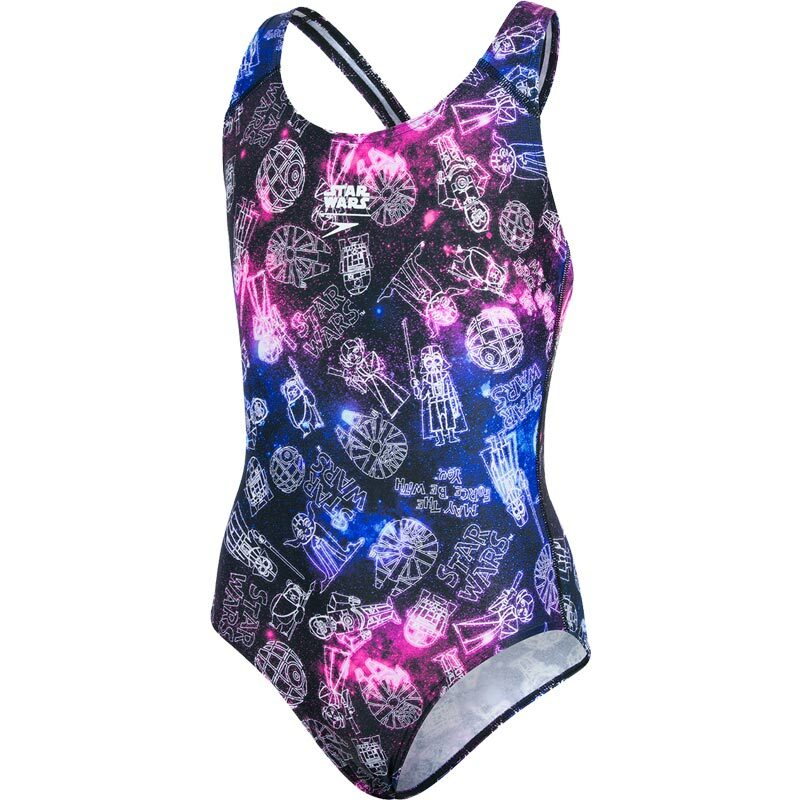 With an open back for comfort and freedom of movement, the splashback style ensures your budding swim star can focus on their performance without feeling restricted. Featuring chlorine-resistant Endurance®10 fabric, it'll fit like new for longer – no matter how often they hit the pool. Splashback design increases freedom of movement in the water. 5 out of 5 ? ?